Coast Dental’s friendly dentists in St. Petersburg, FL offer comprehensive family dentistry services, orthodontics, and endodontics in their brand-new practice on Dr. Martin Luther King Jr. Street North. Residents looking for a new dentist, orthodontist, or root canal specialist in St. Petersburg, FL can enjoy quality care in a more convenient location now that Coast Dental has moved into the Gateway Market Center near Target and Publix at 7801 Dr. Martin Luther King Jr. Street North. The new location is located just a mile away from Coast Dental’s original location in Rutland Plaza on 62nd Avenue North, and features a warm décor, more spacious patient areas, digital x-ray technology, and expanded dental services. The phone number remains (727) 525-4499. 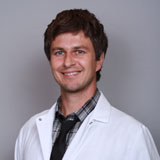 St. Petersburg general dentist Dr. Mike Stoici has more than a decade of experience helping people smile. He earned his Doctor of Dental Medicine degree (DMD) at the University of Pittsburgh School of Dental Medicine and is a member of the American Dental Association and the Academy of General Dentistry. He is accepting new patients age 10 and older, and provides a wide range of preventive, cosmetic, and restorative dental services including exams, fillings, crowns, bridges, dental implants and restorations, root canals, extractions, gummy smile treatment, gum disease treatment, veneers, and teeth whitening. In addition, his team strives to accommodate same-day emergency dental appointments. Endodontist Chen He, DMD, is a root canal specialist who provides surgical and non-surgical root canal procedures, crown lengthening, perforation repair, endodontic surgery, and more services at the Martin Luther King Jr. Street location. Dr. He earned her dental degree at Boston University Goldman School of Dental Medicine, is a member of the American Association of Endodontists, and is fluent in English and Chinese. Joining the team will be an orthodontist specializing in traditional braces, clear bracket braces, and clear aligners. Wondering if braces could help you? Call the office to schedule a complimentary consultation. Coast Dental St. Petersburg accepts more than 200 types of dental insurance and offers dental financing plans. It also offers SmilePlus®, which provides savings up to 70% on dental services for patients without insurance. For office hours, money-saving offers, and more information, please visit http://www.CoastDental.com or call (727) 525-4499. Coast Florida P.A., with its professional associations, is one of the largest providers of general and specialty dental care in the United States with more than 175 affiliated practices operating as Coast Dental and SmileCare. Coast Dental Services, Inc. is a privately-held practice management company that provides comprehensive, non-clinical business and administrative services to its affiliated practices. The company is headquartered in Tampa, Florida. For more information, visit http://www.CoastDental.com.